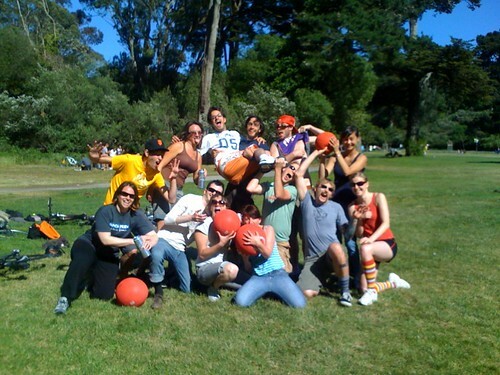 San Francisco Kickball Coalition » Kickball: The 7th Inning Stretch! Kickball: The 7th Inning Stretch! Bay-to-Breakers is over til next year. sad. Memorial Day has come and gone. sad. But brighten up kickbrawlers, fun in the sun is yet to be had. That’s right, it’s time for SFKBC’s 7th inning stretch! 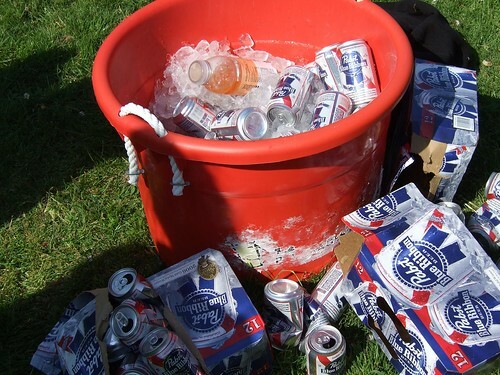 It’s no ordinary kickball game, we’ve got some big plans for this weekend (some stretching required). In fact, I’m going to call it out right now that this weeekend could be the biggest turnout and most fun had on a kickball field yet! So grab your friends, grab some crazy socks and outfits, grab your balls and head out to join us. 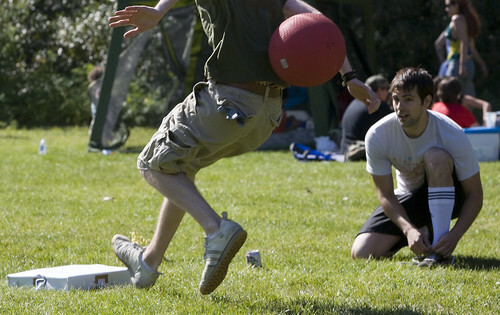 Seriously folks, if you only make one kickball game this year: come to the finals! But if you make it to 2 kickball games?!?! Then come this weekend, June 1st, for the 7th Inning Stretch. You won’t be disappointed. Sun, June 1 2008 at 2 p.m.
Sup thank you for the write-up, I was looking for your Facebook account so I can like it. Will you guys be adding facebook connect anytime soon?